This is a limited view of Cub Scout Pack 731’s events. If you are the parent/guardian of a Pack 731 Scout, please login to our ScoutBook website for the latest calendar events. Below are a list of our typical events that occur throughout the year in our Pack. Fall Camping in October – Typically at Elks Camp Barrett in Annapolis. 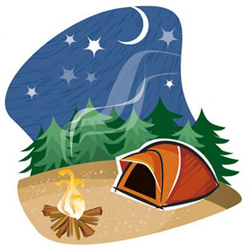 Spring Camping in April – Typically at Elks Camp Barrett in Annapolis. The Scouts can expect to sing songs, perform skits, hike as well as other fun stations of learning. Dens will have most of the day to themselves for Den Leaders to teach skills, work on advancement requirements and have fun. The Pack will come together for a group dinner and campfire, and the Scouts participate in retiring American Flags. In the Spring 2018, our Pack participated in the first Crofton Camporee with your neighboring Cub Scout Packs. It was a great opportunity to bring our community together for this family fun event. Also, there are special event Scout camping overnights that are hosted by the Bowie Baysox and Maryland Science Center. We pick a Saturday morning in early December to clean up the billion or so leaves on the grounds of Crofton Elementary School, and around the same time we help our sponsoring organization, Prince of Peace Church, do the same. We are typically done by noon, and refreshments (hot chocolate and some type of pastry) are usually the highlight for the boys. In early Spring, typically around Easter, our Pack will help our sponsoring organization, Prince of Peace Church with a beautification project to celebrate the lenten season. Cub Scouts rely on dedicated volunteers to promote its mission of preparing young people to make ethical and moral choices over their lifetime by instilling in them the values of the Scout Oath and Scout Law. Today, nearly 1.2 million adults provide leadership and mentoring to Cub Scouts, Boy Scouts, and Venturers. Through the dedication of these many volunteers, the Boy Scouts of America remains the foremost youth program of character development and values-based leadership training in America. To these volunteers we would like to say thank you for your dedication to Scouting. 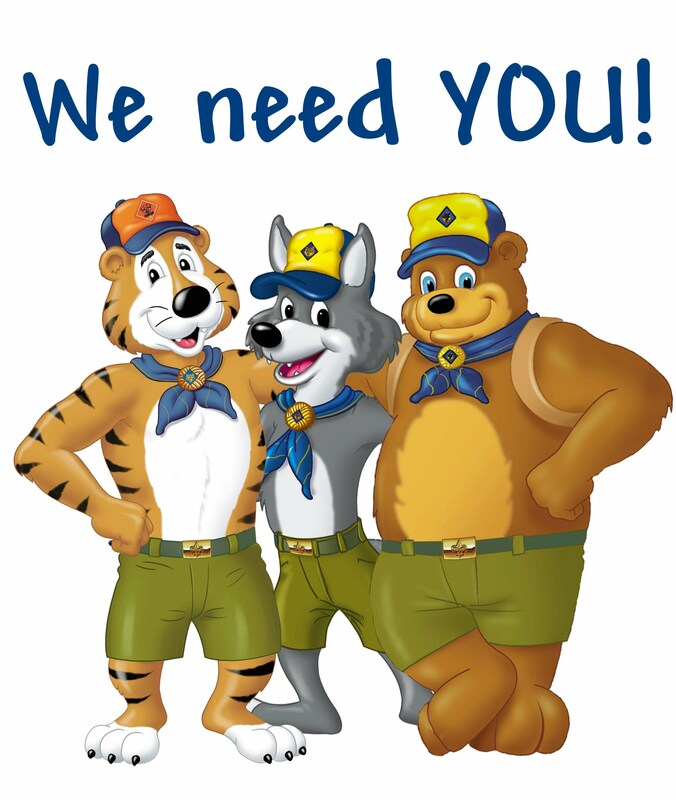 And, to adults who are not currently Scout volunteers, we invite you to become a volunteer and share in the positive experiences of the Scouting programs. 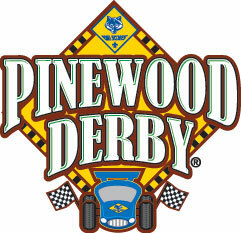 One of the most popular activities in scouting is the Pinewood Derby. The pack gives out kits to each scout member to build their own small wooden model of a derby car. Each February, the scouts then race the cars in competition at the school. Our Pack normally will weigh and turn in cars a few days prior to race day, where car specifications are check, and judging for car decorating occurs. On race day, the Dens will race in similar ranking groups (or combined, based on number of participants). The cars are sent down the raceway with the help of gravity and the time is recorded and correlated to a real speed which id fun for the scouts to see. Awards are given to scouts for placing in the race as well as for car decorating. For more than 20 years, Scouts have collected food to help feed almost 100,000 families who depend on the generosity of their neighbors to help them feed their children during tough times. 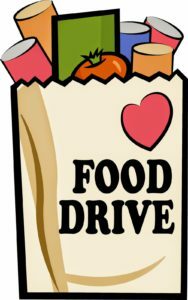 We help each February/March through our Scouting for Food program. 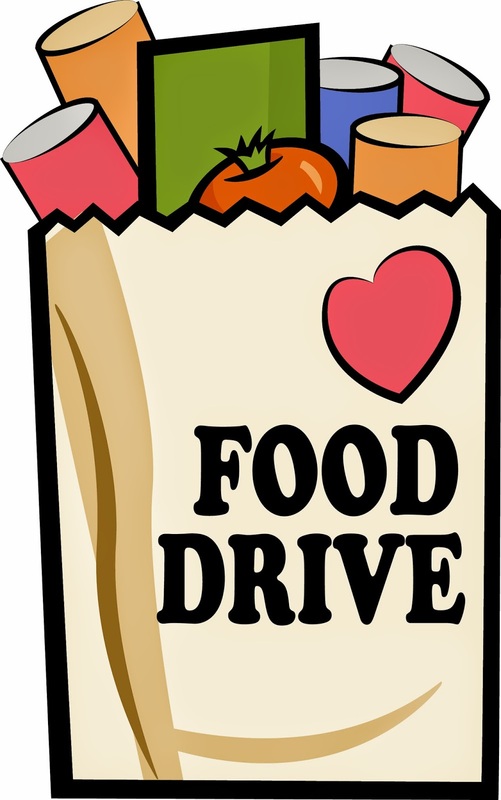 Your scout leader will distribute bags provided and you will ask your friends and neighbors to fill the bags with nonperishable food, place the filled bags out for Scouts to pick up. The scouts bring the bags to the next pack meeting and they will be distributed to homes in need. 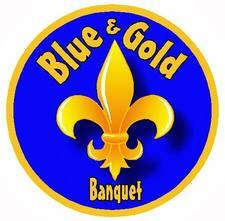 During Scouting Anniversary Week in February we celebrate with a “birthday party” called the Blue and Gold Banquet. The blue and gold banquet is one of the highlights of the year, bringing families together for an evening of fun. The purpose of the blue and gold banquet is to celebrate the pack’s anniversary, thank pack leaders and other adults who have helped the pack, and inspire the leaders, Scouts, and parents. The banquet is similar to a regular pack meeting. This past year we had our inaugural cake bake contest. There were competitions for best taste, best presentation and several others. Held for a full week each summer, scouts of all ages participate in this Boy Scout style day camp. The dens rotate through each station held at camp to include knot tying, archery (all boys learn how to safely and properly shoot a long bow), B-B guns (all boys learn gun safety, proper handling, and shooting of approved B-B guns) and learning about other scout pastimes. Fishing, games, and a special visit from the fire department are other highlights during the week. 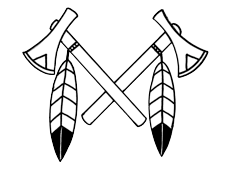 The Oest Cub Scout Resident Camp at Camp Spencer is part of Broad Creek Memorial Scout Reservation, the official Scout Camp of the Baltimore Area Council, BSA. Founded as one of the first cub resident camps in the nation in the mid-1980’s, Oest has been operating as an overnight summer camp for Cub Scouts for over 3 decades. It is the only Cub Scout Resident Camp in the Baltimore Area Council. 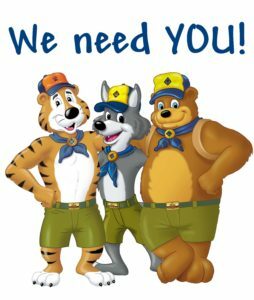 The program is available to all Cub Scouts – rising Tigers (current kindergartners) all the way up through rising Webelos IIs. They have a week-long session just for Webelos, 3 and 4 day sessions open to all ages, and now even a short session open to everyone and aimed at families new to Oest or camping. 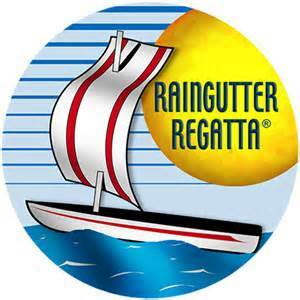 In August the Pack hosts the mother of all boat races called the “Raingutter Regatta.” The event is held at the Volunteer Fire Department or at Crofton Park. The scouts get a chance to build their own 6″ sail boats, and go head to head blowing them down 10′ rain gutters to decide the victor. Lots of fun, lots of hot air, and a little bit of splashing!The Pack comes together for games, food, and fellowship during the event. We take this time to welcome in all new scouts and get to know the parents and introduce them to the cub scout program. 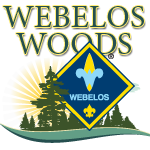 Webelos Woods is designed to give first and second year Webelos Scouts and their parents a preview of the Boy Scouting experience. The program, held each October, emphasizes Boy Scouting values, procedures, methods and skills. It is an introduction to Boy Scouts being a “boy led” program as opposed to the “adult led” program used in Cub Scouts. Also, there is the thrill of camping in the outdoors in a tent at a Boy Scout style camp, which will encourage a desire to continue Scouting. While there, the boys get to do archery, knot tying, pioneering and other fun stations of learning. B-B shooting, Archery, Saturday Night Campfire, Model Rockets, Canoeing, Pack Competitions and much more. 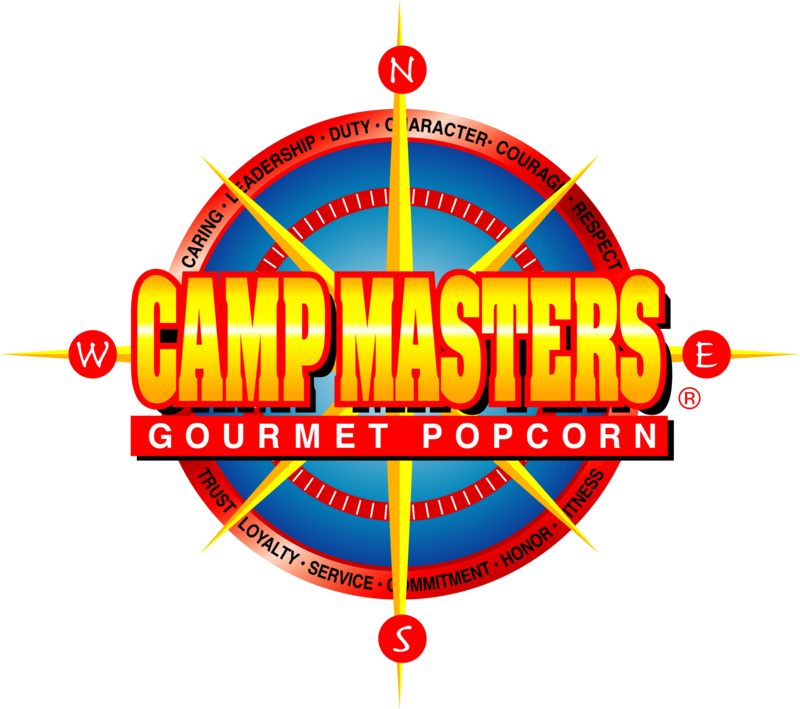 Each fall, Scouts who participate in the annual Boy Scout Popcorn Sale not only prove that they have what it takes to earn their own way and pay for their own Scouting program, but can earn badges, too. 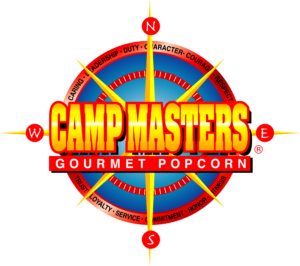 By selling popcorn, Scouts can complete a number of requirements for rank badges, Webelos Activity pins, Boy Scout merit badges and more. This is our only fundraiser!